In five elections, a woman’s name was on the ballot 39 times compared to the 124 times a man’s name was on the ballot. This is an obvious problem when 50% of the population makes up only 24% of the candidates. I also looked at the past two elections for Regional Council positions. I did not include Mayors, even though they do serve as Regional Councillors. Thus, these figures are for the 19 Regional Council positions (whoever is elected Regional Chair is replaced by the next highest vote-getter from their municipality.) Further thus, though 4 of 31 Council members are women, as I’ve stated before, only 2 of 19 of those elected as Regional Councillors are women. 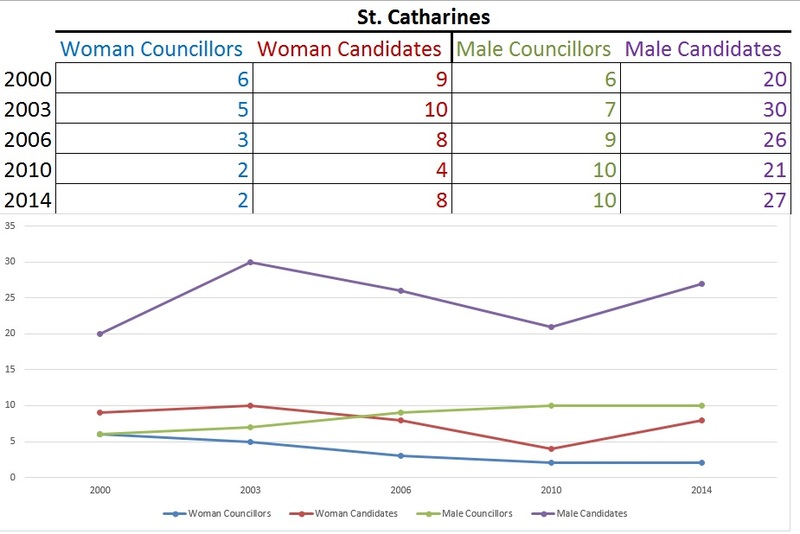 Only 8 and 7 women candidates in the whole of Niagara is pretty sad. There are many reasons why there are not enough woman candidates and many challenges to being a candidate and a politician as a woman; however, it is plainly obvious we need to do what we can to attract more women candidates. Thoughtful, brave and engaging women: Niagara needs you! This entry was posted in Women in Politics on November 6, 2015 by greg miller. Following my post about Mishka Balsom’s treatment by Regional Councillors, I received a lot of shock both at the decorum of Regional Councillors and the lack of women on Regional Council (only 4 women out of 31 positions.) Many, myself include, believe there’s a connection between these two issues. Recently, I asked two women who have been politicians in Niagara and remain very involved in the community for their perspective of women in politics in Niagara. Laura Ip was appointed to and served on St. Catharines City Council in 2014 following a vacancy on Council (Ip placed third in the affected ward in 2010 municipal election.) She also ran in the 2006 and 2014 municipal elections. 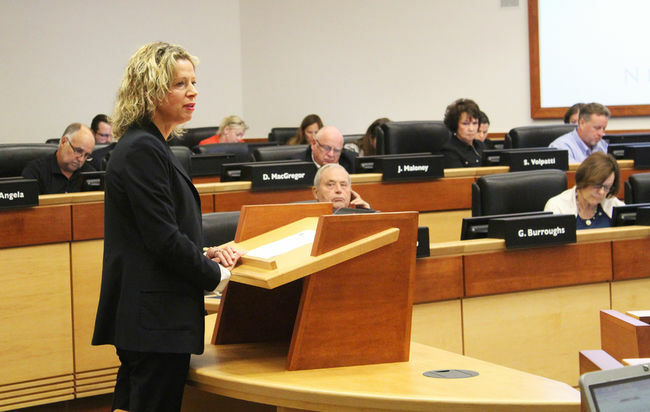 During her year on Council, Ip championed both adopting a Living Wage for St. Catharines and inititiating an open data program for St. Catharines. She also worked hard to respond to all her constituents’ needs and requests. 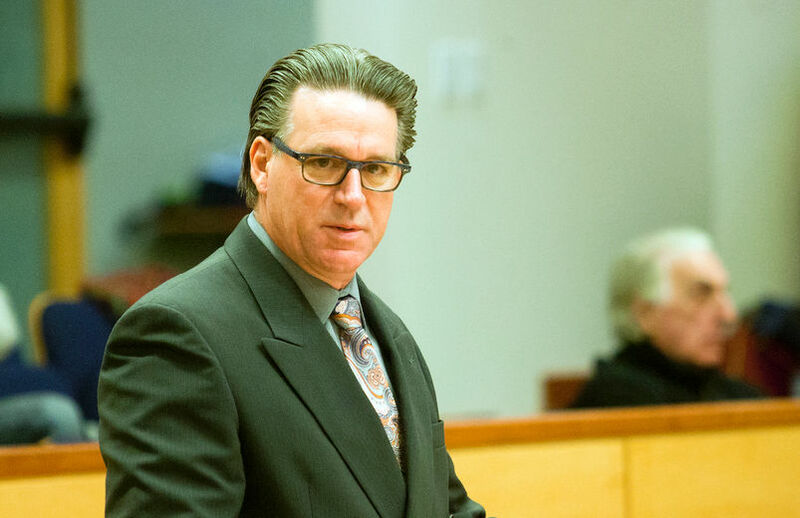 Since leaving politics, Ip has continued to be a freelance consultant and facilitator, and a research and teaching assistant at Brock University. She was recently hired to be the Resource Development Coordinator at YWCA Niagara. Ip is a board member of Cowork Niagara, the Vice-Chair of the Niagara Workforce Planning Board and actively involved with the Pearl Gloves Charity Boxing Match for the MS Society of Niagara. 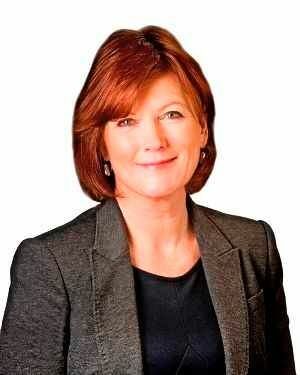 Debbie Zimmerman spent 36 consecutive years in local politics from 1978-2014. She began as a local alderman (councillor) in Grimsby, before being elected to Regional Council in 1989, a position she held until deciding not to seek reelection in 2014. During this time, Zimmerman was the first female Regional Chair from 1997-2003, where her many accomplishments include bringing Early Years Centres to Niagara (the first community in Ontario to do so) and the creation of the Niagara Community Foundation. She also ran for MP in the Federal riding of Niagara West in 2004. Currently, she is the CEO of the Grape Growers of Ontario and sits on a number of local boards, including Pathstone Mental Health and YMCA. She also recently spoke at the Niagara Leadership Summit for Women. 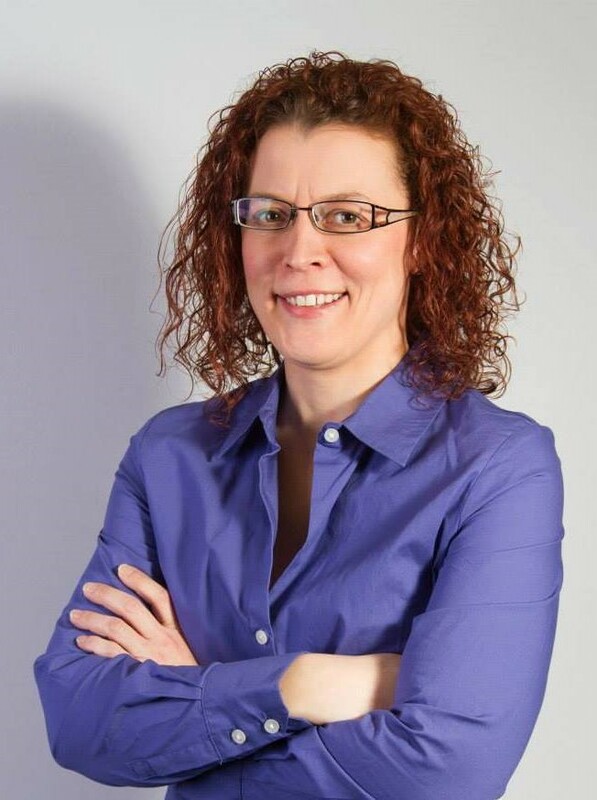 Suffice it to say, there are not many women in Niagara who have a better understanding of the Niagara community and what it is like to be a woman candidate and politician. Below are my questions followed by their answers. When you ran for office, did you consider the lack of woman representation? Do you think that lack of representation motivated you or discouraged you? Laura Ip: All three times that I ran for City Council, I spoke to the need for balance on our municipal councils, and I always framed it as needing balance in age, gender, and ethnicity/race, among other things. I think the lack of female representation both motivated and discouraged me. I was motivated to become one of the women at the table in an effort to achieve that balance, but discouraged, because I knew some of the challenges I would face at the door as a female candidate, particularly one with young children. Debbie Zimmerman: I did not really think about the lack of women on Council or at the Region but I did think that women could bring a different perspective to the Chambers. Regarding the incident with Mishka Balsom, do you think any of Niagara’s current local councils have a gender problem, or was her treatment unrelated to her gender, or not an issue at all? Do you think this is an example of treatment that may discourage women from entering politics? 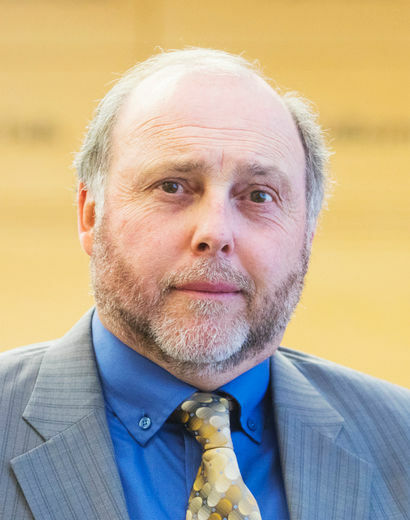 Ip: I can’t speak to individual motivations for the way that Balsom was spoken to by Regional Councillors, but I can’t imagine that anyone who spoke to her they way they did would have dreamed of speaking to her predecessor [Walter Sendzik] that way. I can say that I’ve had one-on-one interactions with some of the politicians in that particular incident, as well as several other male politicians in Niagara, and the challenge to be taken seriously and treated with respect is very real. That is in no way to suggest that all male politicians behave in this manner, because they do not. That any of them do, though, can be extremely difficult to deal with, and I know a couple of women who have considered running but have been discouraged by such behaviour. Zimmerman: What is clear to me is that the view being expressed by Balsom was one the Chair didn’t want to hear. His lack of tolerance of someone else’s opinion in a democratic society was just wrong. I think the treatment of the CEO of the Greater Niagara Chamber of Commerce was unacceptable and others failing to act when anyone is poorly treated at a Council or committee meeting is unacceptable. What has your experience as a woman candidate been? Ip: Being a candidate is really an experience like no other. You don’t get a lot of policy questions when knocking on doors. What I did get, though, that my male counterparts did not, was asked routinely about my family status; what my husband did (people assumed I was married, as I never made mention of my husband in my election materials, either before or after we separated); if my husband would tolerate me sitting on City Council and not being home with the children at night; if, as a mother, I had time to be getting involved in politics, etc. While I did have many people say they would vote for me because I was the only woman running in the ward (2010, 2014), I also received quite a number of comments about my physical appearance, both in person and on social media. The comments ranged from tame (though still inappropriate) to downright vulgar. That can be extremely difficult to deal with. Following the 2014 election, a candidate against whom I ran attacked me via his Facebook page with a number of not only inaccurate but also extremely sexist remarks. Zimmerman: I survived many years in politics, I think, by focusing on the issues and not my gender, and working hard to keep issues the focus. It isn’t easy, but eventually your experience and knowledge will be acknowledged over your gender. What has your experience as a woman politician been? Ip: I loved being on City Council and I’m proud of the work that I did during my short time serving in that role. I met some really great people in the community and I helped citizens address challenges they were having with various areas of municipal government. Most of the experience was extremely positive. Having said that, moving from being a candidate to being on Council, you have to have a much thicker skin. 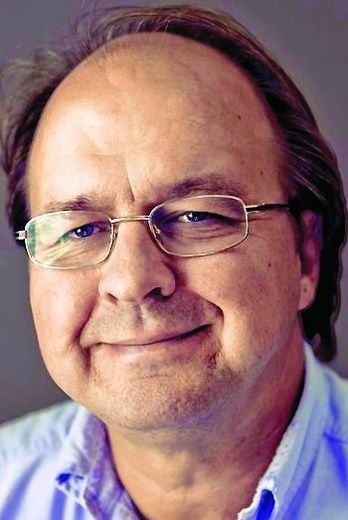 I took a great deal of criticism in the traditional media (by way of anonymous comments on the local paper’s website) and through social media (both publicly and through private messages people sent to me). While I will concede that criticism of our politicians is to be expected, it was the tone of the criticism and the way in which it was delivered that I found to be different than when my male counterparts were criticized. Adjectives were used to describe me that would not have been used if I was not a woman. If I attempted to challenge this style of criticism I was, in effect, shouted down for being “too sensitive” or something similar. Zimmerman: It was a terrific experience meeting other great women who came before me and many no longer with us. I had great mentors both women and men who recognized my desire to be good at what I was elected to do. If you could single out one issue for why women are so underrepresented in political positions in Niagara, what would it be? Ip: There is data that shows that people in minority groups (remembering that “minority” is not used to indicate number, but to indicate a group that has historically been considered to be subordinate to the dominant group, so women, racial/ethnic groups, people living with disabilities, etc.) do not typically aspire to roles in which they do not see themselves represented. If one does not see themselves represented in leadership positions, they are likely to write those positions off as not being open to them. So, yes, representation is absolutely an issue with respect to women in politics and leadership roles, but I think one of the biggest symptoms of that problem is what I’ve discussed above: that women are not expected to seek out roles in politics and leadership. We are still expected to carry the majority of the family and household responsibility and, if we have anyone else do it, not only are we somehow less than, but so are those who do it for us. Men who stay home with their children whilst their female partners work are considered to be “whipped,” for instance. I was repeatedly asked “as a mother, do you have time for this,” and when my answer was, “I don’t see how it’s any different than it is for any of the fathers who are on City Council,” I often met further resistance or was asked if I was suggesting that the question was sexist (which, yes, it is, if you’re not also asking it of my male counterparts). Until women can anticipate being accepted in political and leadership roles, it will be difficult to get enough of them to challenge the status quo. Zimmerman: Many women carry a heavy load with family and work. Thinking about running for a part-time council job that takes many long nights away from family is tough. We don’t make it easy for women to get involved, especially if they have families . What would you do or change in Niagara to ensure our representation reflects our demographics? Ip: I don’t think there’s anything that can be done that wouldn’t be illegal or otherwise discriminatory (such as a “quota”.) I have never thought that women should be elected simply because they run. We have good and not as good candidates in both men and women. Having more women run would increase the chances of equal representation, but there’s no guarantee. A lot of the challenges really have to do with perception and attitude about women and their capabilities in these arenas. Zimmerman: Not an easy answer as the whole system must change to give women a chance to get involved. Just one example might be requiring good child care support where they work. I see so many bright young women struggling to find that life-work balance yet wanting to be involved. Any other thoughts on women in politics? Ip: Nothing more than that I would like to see more women run and that I strongly believe in the importance of mentoring. Like other women I have met and know well who have been involved in politics, I am happy to speak to any woman who is considering running and give her a sense of what to expect, how to handle it, and answer any other questions she may have. Zimmerman: I can only say from my perspective that one of the most rewarding things I have ever done is represent my community on council. You need to be passionate about whatever you do in life, and politics is no exception but democracy is worth it! Two great, unique perspectives from two very impressive women. It is obvious that the issue of women representation in politics is part of a larger gender issue. As pointed out by both above, there is no one solution for having our political representation balanced or matching our population’s demographics. 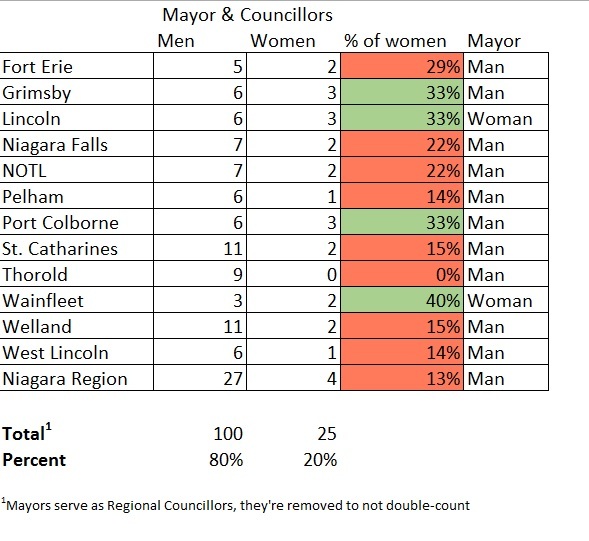 It would be naive to think any small or large changes in Niagara will alter the ultimate problem of gender inequality. 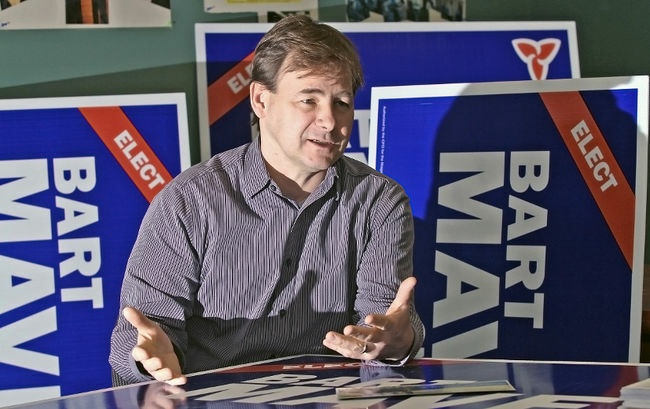 However, both Zimmerman and Ip have pointed out some of the issues women face and noted the need for more women candidates in municipal elections. The UN and FCM have set a very modest goal of 30%. A council accurately reflecting the concerns of 50.4% of its constituents is the absolute bare minimum that should be expected. Niagara is receiving less than the bare minimum. It is time for that change. I want to thank both women for participating. The Niagara Next Blog will remain committed to examining and addressing the issue of women representation in Niagara politics. Next time we’ll examine some more facts and figures. Please share your reaction, opinion or experience below, or on Facebook or Twitter. This entry was posted in Women in Politics and tagged balsom, gender, ip, zimmerman on November 2, 2015 by greg miller.